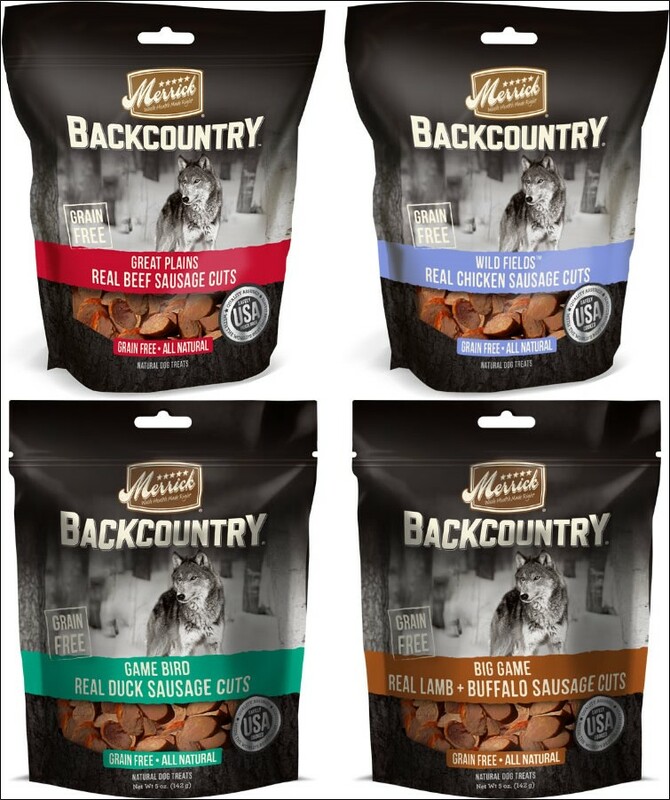 Merrick Backcountry Sausage Cuts are small rounds of cut-up sausage - making them ideal for a training treat or an all-around regular daily treat for your dog. They have a wood-smoked flavor dogs go wild for and are high in nutrition with real meat as the first ingredient. Merrick Backcountry Sausage Cuts are grain-free with no gluten ingredients and, like all Merrick recipes, contain no ingredients from China.